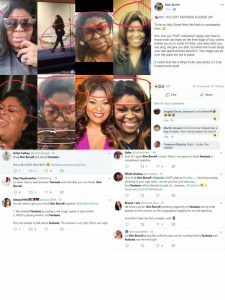 Kim Burrell may be the poster child of a bitter soul. After what some would call a hiatus due to an extreme fallout after attacking LGBTQ people from behind a church pulpit in 2017, which led up to concert date cancellations and a canceled guest appearance on ‘Ellen’ with Pharrell Williams to promote ‘Hidden Figures’, gospel singer Kim Burrell is back on the move again and appearing in the headlines again. 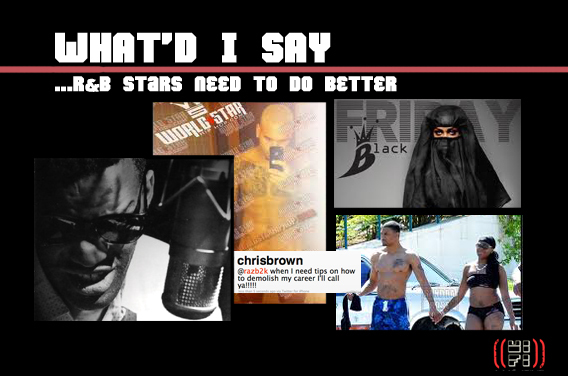 And once again, she’s having to fight off the “shut yo mouth” jive of social media that languished her come-up the last time. And all because she decided to slam Fantasia from behind the pulpit. The comments came as she tried to respond to the sudden announcement of a forthcoming biopic on the life of Aretha Franklin that’s now in the works. In that instance, while delivering her own opinion, Burrell – a woman who makes a living preaching Jesus as the truth – sadly preached a few untruths. Fantasia, an American Idol alum, was never considered to play Franklin, the Queen of Soul. When alive, Franklin personally selected her top choices of artists to play her, a list that included Halle Berry, Broadway star Audra MacDonald and Academy-award winning Jennifer Hudson. 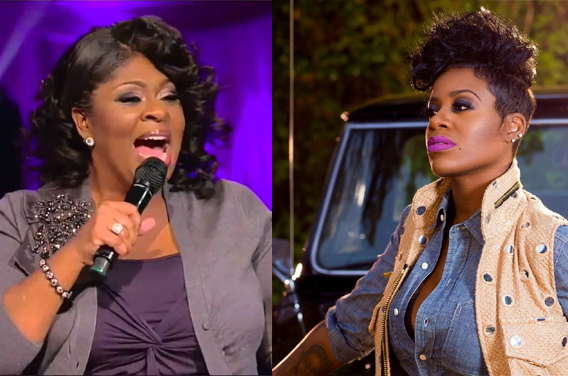 Eventually, the producers and studios opted for Hudson, a former Idol contestant who Burrell may have mistaken for Fantasia. So not only was Burrell using her Uno Wild card; she was also dispensing wrong info also. Well, Twitter, Facebook, the gossip blogs and comedy meme platforms such as MimesBeLike decided to read Burrell for eternal filth. Y’all, they drugged her into the sea of forgetfulness. The floodgates went open and the saints came marching in on everything Burrell, from her shape to her edges (see side image). Even her ‘Fall of Man’ moment in her velvet alleged $1,800 boots was hysterically resurrected, just to add insult to injury. But what was most important was how Fantasia responded. Further, into the Larry Reid Live! program, Kim Burrell’s brother, Erick, who is gay, called in and described the rough relationship he has with his popular sister and other siblings. Ouch! Lawd, Kim attacked the gays and she didn’t learn her lesson then. Now she’s throwing shade at Fantasia for no apparent reason, as her past tenure on BET’s Sunday Best has given her the prominence to be an authority on Aretha and pop culture. Not sure if she’ll learn her lesson from this. She hadn’t learned from her last one. But let it be written in stone that Burrell’s itinerary has been officially canceled for 2019.